Sadly, that includes more winter: not only did we get another storm yesterday that dumped another foot or so of snow (it was hard to tell exactly, because it was very windy and so there were lots of big drifts), but apparently there’s yet another one looming. Whatever. It’s the kids’ March break; I’m not teaching; we don’t have anywhere we need to be before Friday: let it snow! But then, please, let it stop — because enough already. In happier news, there has also been more reading and writing. If you’re reading this, you probably already saw my post on Ian McEwan’s The Children Act as well as the one on Rex Stout’s A Right to Die. Neither book was a great hit with me, but McEwan is a writer I’m never sorry to read — his worst recent books are still much better than most other books I read, at least in their scrupulous intelligence and their ambition to be about something interesting, and I always admire his prose. And I understand better now why Nero Wolfe is such a favorite for so many mystery lovers I know, even though I don’t think he’s going to become one of mine. 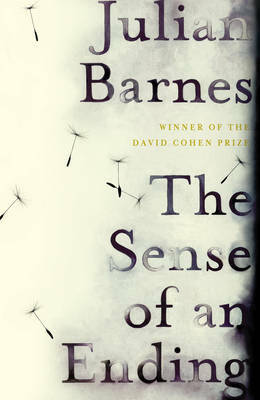 Over the weekend I also read Julian Barnes’s The Sense of an Ending and reread (most of) Loretta Chase’s Mr. Impossible. I didn’t feel like writing a “proper” post on the Barnes novel. I didn’t like it much while I was reading it — it seemed really heavy-handed in its not-telling, and unduly portentous given what turned out to be the big revelation, which was a lot less revelatory than I expected. I’m sure there are all kinds of nuances in the novel’s treatment of memory and evidence, but I couldn’t motivate myself to go back and work up an appreciation of them. There’s lots of good writing on it: I recommend the typically thoughtful post at Tales from the Reading Room (which includes links to some extended discussions about the “what actually happened”) or this trenchant critique from Jessica at Read React Review. Mr. Impossible was a perfect storm-day diversion: it’s a perfect example of one of my own favorite romance tropes, namely “severe bluestocking discovers passion with a man who finds her intelligence alluring.” (I’m sure that says nothing about me at all! But seriously, as I said the first time I wrote here about reading romances, it’s interesting to me how personal romance preferences seem, compared to, say, detective fiction.) Now I’m reading Miral al-Tahawy’s Brooklyn Heights. I’m liking it a lot so far: it’s quiet and a bit melancholy. [Gorra’s] goal is to enhance our appreciation of this novel (and indirectly of Henry James as a fiction writer), in the most old-fashioned sense to account for its greatness. 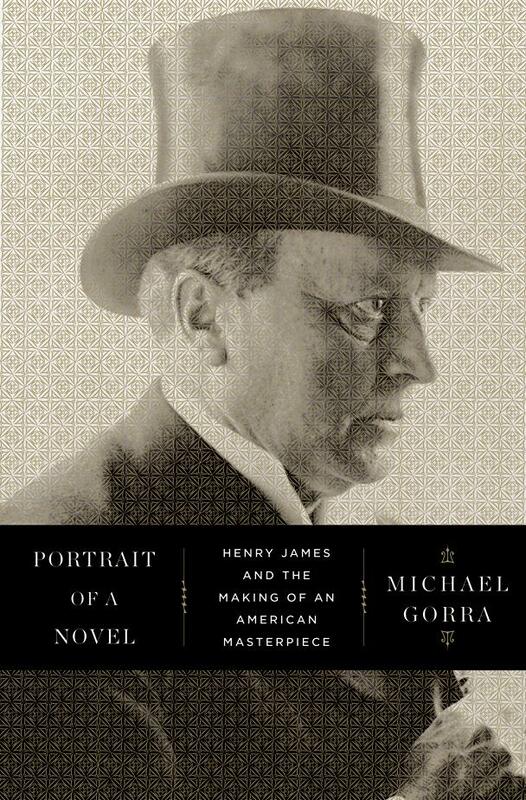 What Gorra has really produced in Portrait of a Novel is a work of critical eclecticism. He borrows from a number of critical approaches, including some of those currently ascendant in academic criticism, as well as more traditional “scholarly” concerns, and in the process demonstrates how criticism can draw on a variety of ways of thinking about literature as a phenomenon of human expression and culture in order to satisfy the ultimate goal of providing a clarifying perspective on a morally and aesthetically complex work of literature. “Our current literary culture,” he concludes, “could certainly benefit from more books like Portrait of Novel, books that avoid both the intellectual trendiness and abstraction of academic criticism and the undisciplined impressionism of popular criticism.” I’m not (at the moment, anyway) including much biography, but I am trying to do “the sort of ‘in-between’ criticism” Gorra’s book apparently provides (I’ve put a hold on it at the library and will take a look for myself as soon as I can), and as Gorra’s book has been well received, maybe Dan isn’t the only one who likes to read that kind of thing. Gorra, of course, already had the right profile to make a book like this seem to a publisher like a plausible venture, but that’s an anxiety for another day. David Pierce’s Reading Joyce, which I have already looked at pretty carefully, is another example of “in-between” criticism — more than, say, Rebecca Mead’s My Life in Middlemarch, which for all its good qualities, really does not offer a rigorous reading of its touchstone novel. Mr. Impossible is one of my top 10, maybe even top 5 favorite romance novels. So glad you enjoyed it. I love the idea of “in-between” criticism. I like to think it’s growing in popularity and reputation but maybe that’s just because I read things like OLM! I suppose there has always been some “in-between” criticism: what strikes me as different about Gorra, at least as described in this review, is that he still focuses hard on the novel itself, whereas the trend has seemed to be towards the very personal memoir-ish “what this book means to me and MY life” kind of book, which is not at all what I generally find most interesting. Dan is definitely not the only one who likes that kind of thing. I haven’t read Gorra yet, but I want to, and I will happily read your book as well! I’m going to check out the David Pierce book right now. The closest thing I can think of to what Gorra does is perhaps Sarah Bakewell’s book on Montaigne, but that’s definitely more biography than criticism, although it does both. I also thought of J.C. Hallman’s collection of essays — that he edited — called The Story About the Story. Each essay is criticism of a sort, but in various ways also a work of literature and imagination. But that also isn’t really all that like the Gorra book, as I understand it. The Bakewell book does sound like it’s close, but what Gorra seems to do that’s rare among more popular forms of criticism is stay pretty rigorous about the literary side (vs. the personal, memoir, or biography side). I’m definitely curious to look at it myself, anyway, even though James (and Portrait of a Lady) is not entirely my thing. Does “in-between” just mean the kind of thing I like? Essays about literature for non-specialized but knowledgeable readers? If so, there has always been a lot of it, since the 18th century, and if anything it is rapidly declining in reputation and popularity, replaced instead with videos of people opening boxes of remaindered books. No, that is just despair. Probably the popularity and reputation remain stable. The Hudson Review has been around for a long time, now. Rohan, do you remember that horrible long argument with JC Hallmann at The Valve? Pure trolling on his part, especially his insistence that he was discovering something new by editing a “writers on writers” anthology. “The popularity and reputation remain stable” — meaning, as unheralded as ever, perhaps? What did you say the HR’s circulation was? But I’ve been thinking my current writing might be better off there than in some kind of book. We’ll see. Oh, I remember that argument, indeed. It was very high quality trolling, carried out with ineffable disdain for all things (and people) academic. It was very difficult to be my best self while that was going on. In fact, I’m pretty sure I didn’t manage it! The circulation of The Hudson Review is 2,500, about the number of hits a good book unboxing video gets five or ten minutes after it is posted to Booktube. I just found a reference saying that the circulation was 3,500 in 1969. So there we have a measure of decline. Yes, I really don’t understand that whole unboxing phenomenon — or most of what I’ve seen in my very brief ventures into Booktube land. Enthusiasm is nice and all, but informed, thought-provoking commentary is surely worth more? Well, now I’m depressed again! Rohan, I have not commented lately though I still read your blog regularly. Please let us know when you publish your work on Eliot. I would definitely purchase and read what you write! I agree with Dan Green that we need more literary criticism like Gorra’s critical commentary. I own his book, but I have not read it yet. I intend to go back and read it when I read more of James’s work. I have only read The Portrait of a Lady (years ago) and Washington Square. I started The Ambassadors, but I put it down for a bit because I found it rather dense. I realize I could benefit from some guidance in my future reading of James. And PS: Thanks for creating that great site! Thank you so much for this comment, Ali! I’m especially happy that you are finding the Middlemarch site so valuable. It was a lot of fun, but also a lot of work, putting it together, and I haven’t had much direct feedback, so this is great to hear. I ended up liking Mead’s book quite a bit, but it does say at least as much about her as about the novel, and it does not work us very hard about the novel.